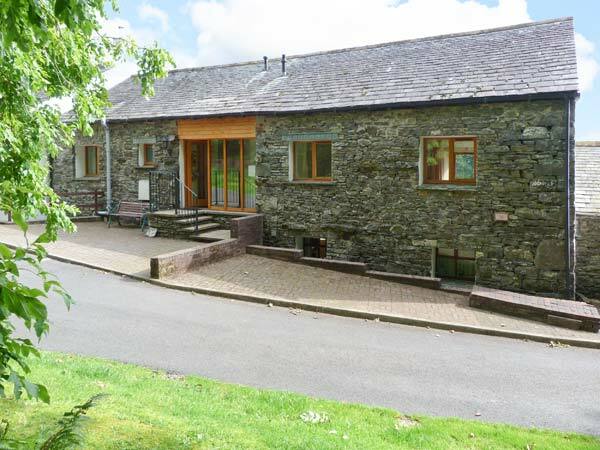 Swallow's Nest is a wonderful, ground floor barn conversion, situated a short walk from the shores of Bassenthwaite Lake, just outside the village of Thornthwaite. The cottage can sleep four people in three bedrooms, including a double with an en-suite shower room, a twin room, and a room with bunk beds for added flexibility. 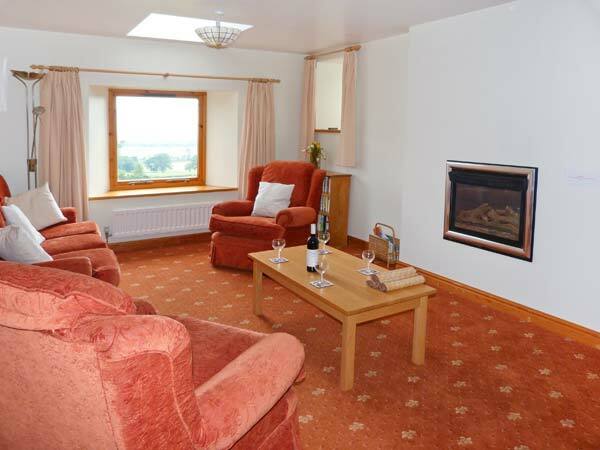 There is also a family bathroom, a kitchen, and a sitting room with a dining area and a cosy gas fire. Step outside, and enjoy a drink on the patio, as you marvel at the beautiful views stretching to fells and mountains beyond, and there is also off road parking for two cars. Swallow's Nest is a fabulous retreat for families and friends in search of a peaceful holiday exploring the Lake District National Park. All ground floor. Three bedrooms: 1 x double with en-suite shower, basin and WC, 1 x twin, 1 x adult bunks. Bathroom with bath, shower over, basin and WC. Kitchen. Sitting room with dining area and gas fire. Gas central heating with gas fire. Electric oven, gas hob, microwave, fridge, washer/dryer, TV with Freeview, DVD, radio, WiFi, selection of books, games, CDs and DVDs. Fuel and power inc. in rent. Bed linen and towels inc. in rent. Off road parking for 2 cars. Lockable bike storage in garage. Small patio. One well-behaved dog welcome. Sorry, no smoking. Shop and pubs 2 miles. Lake Bassenthwaite 10 mins walk. Note: Property is on a slope, with 4 steps to access. Although it appears to be first floor, the entrance is from a lane to the rear at ground floor. Note: WiFi is suitable for browsing only.